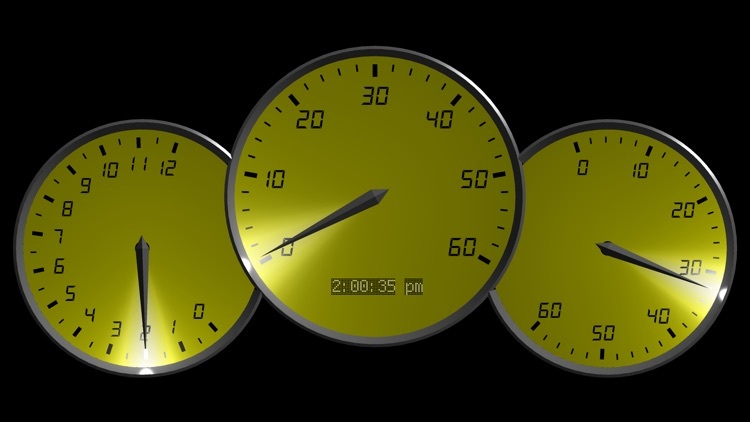 Designed after, and paying tribute to a Porsche (R) 911 Carrera dashboard, "0 to 60" is your personal pocket watch or deskside clock. 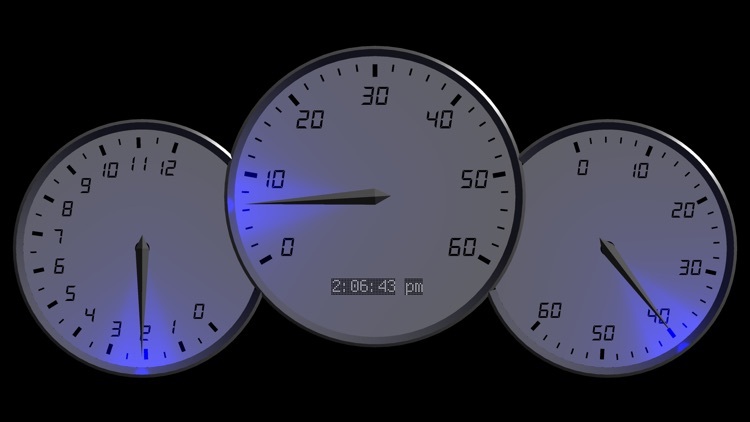 Rendered in full 3D and displayed in landscape format, the instrumentation panels display hours, minutes, and seconds independently. 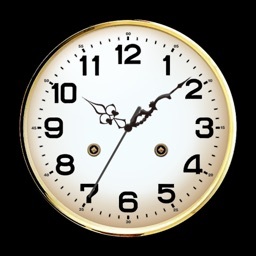 Each panel is fully animated and incorporates an arc of soft light which subtly, but effectively, illuminates the length of the needle and thereby, the perimeter of the dial. 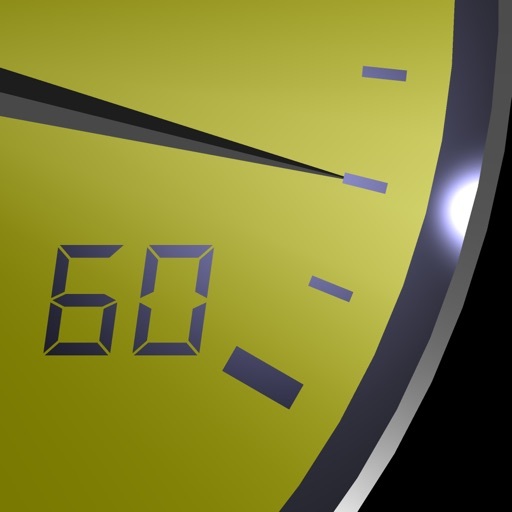 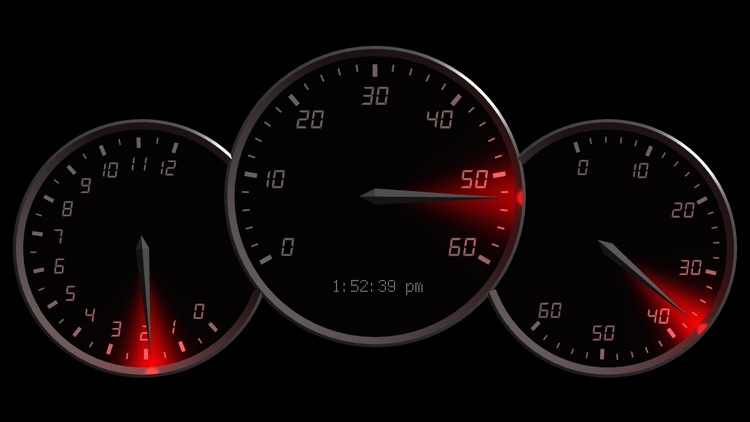 As the needle reaches the top of the range, it smoothly sweeps back to zero, just like your in-car speedo. 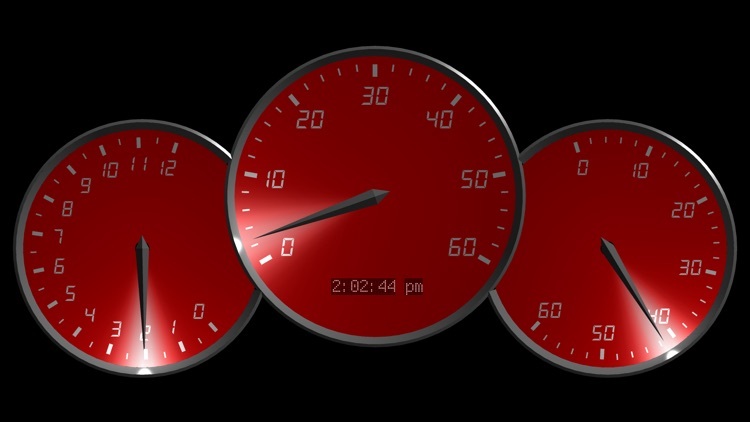 An easy-to-read digital display is also contained within the center dial. 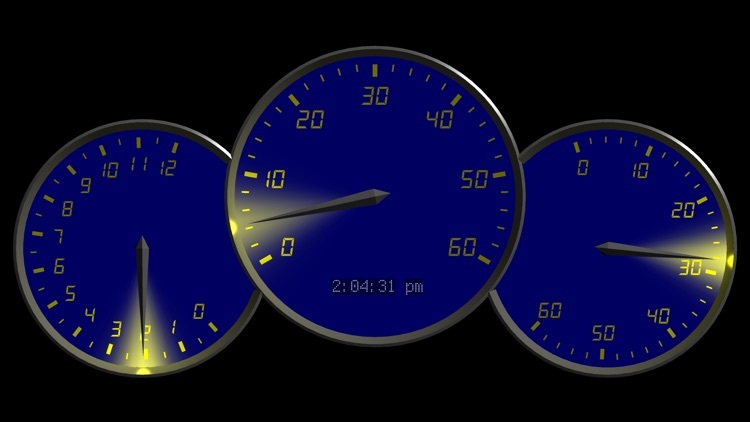 Now with color options for the light, face, and illuminated numbers and retina display support.